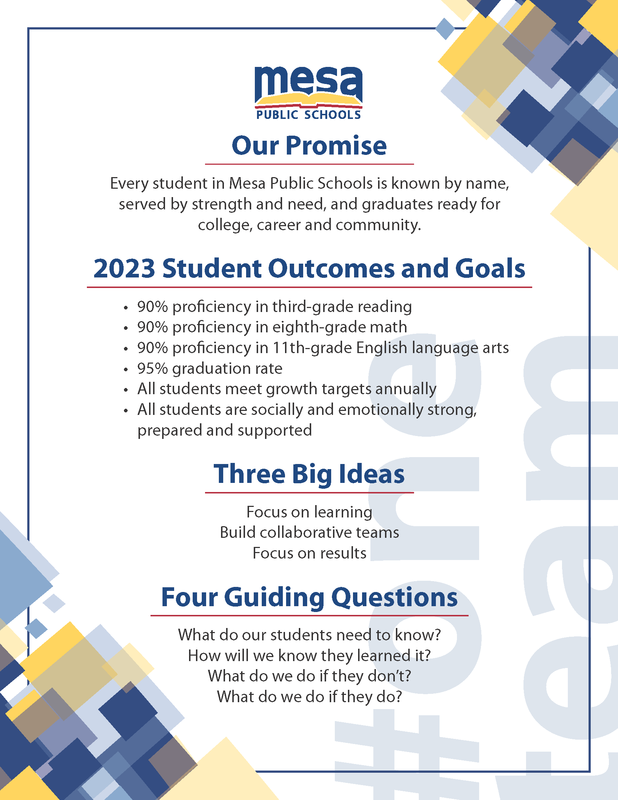 Every student in Mesa Public Schools is known by name, served by strength and need, and graduates ready for college, career and community. What do we do if they don't? What do we do if they do? Learning is our focus and priority. Collaboration and innovation are indispensable. Success is expected and celebrated.